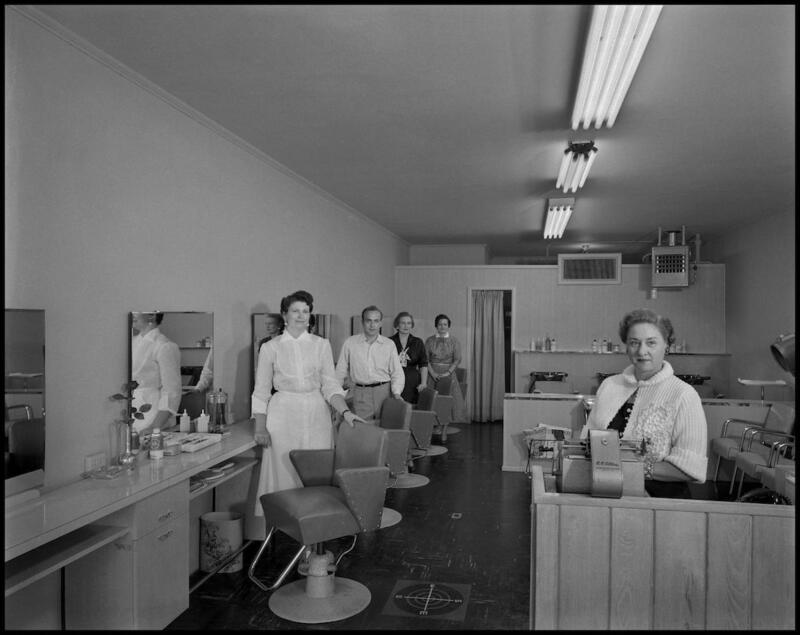 Before placing their order for additional photographs, customers to Byrd Photo in Fort Worth , Texas, would be shown a proof. 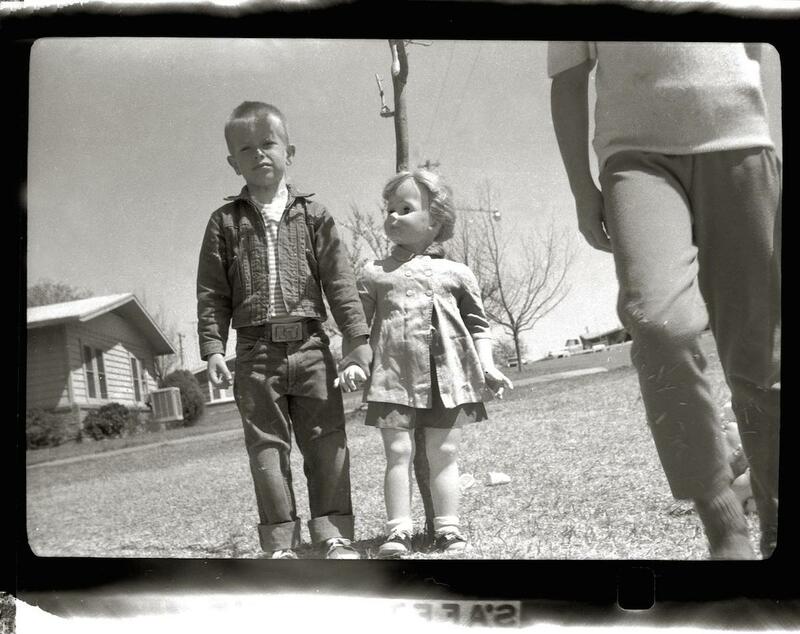 More than 10,00 of these prints and 300,000 negatives are stored at the University of North Texas’s Byrd Williams Collection – images accumulated by four generations of Texas photographers, all named Byrd Moore Williams. Beginning in the 1880s in Gainesville, the four Byrds photographed not only studio portraits but the streets, crime, Queen Elizabeth, soldiers fighting with Mexican revolutionary Pancho Villa near El Paso in 1915, tele-evangelist Jimmy Swaggart, Lee Harvey Oswald and more. 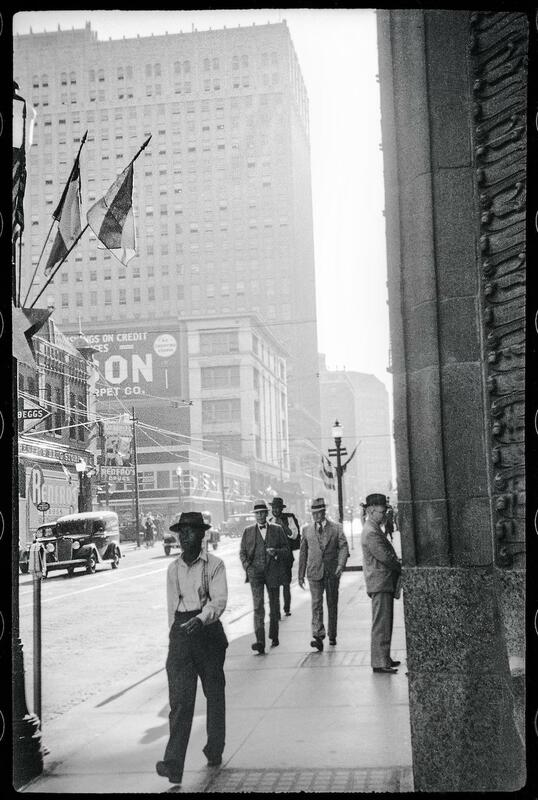 The archive is a rich and wonderful record of Dallas, Fort Worth and Texas, offering us a sublime look at past lives and knowledge born of learning about the dead. 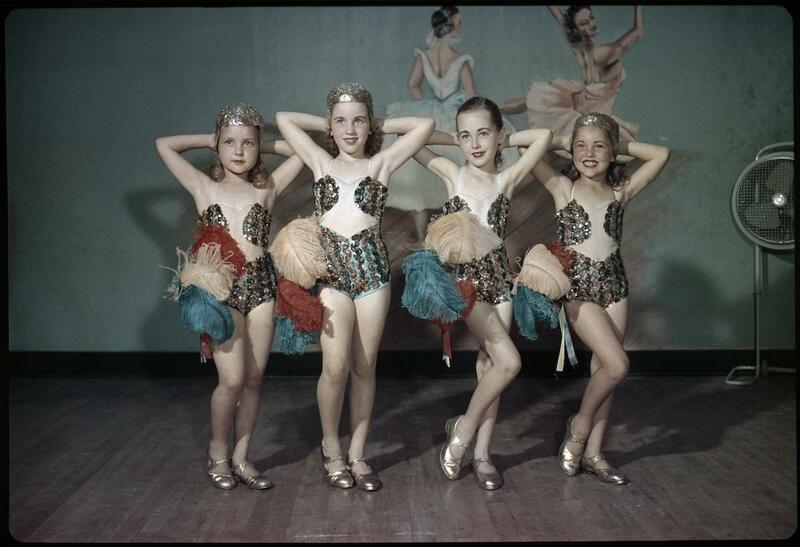 Photograph of four young girls from the ballet school posing in Byrd Williams III’s studio. 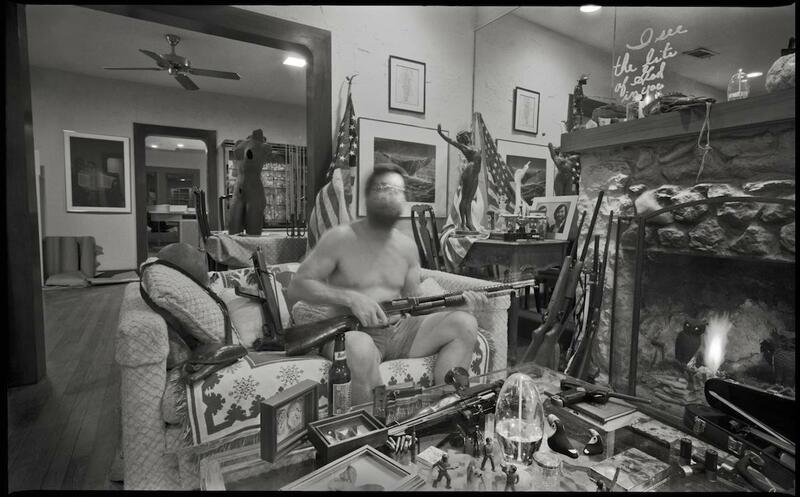 Byrd Moore Williams owned a hardware store in Gainesville. 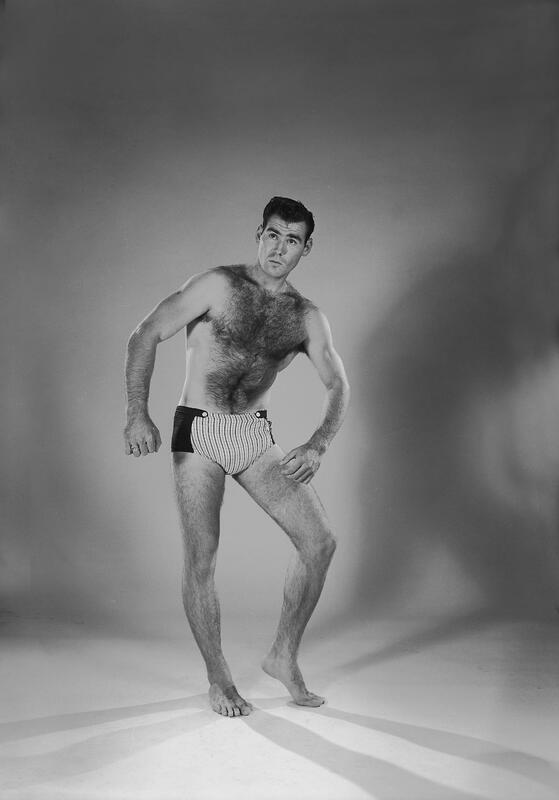 But he also sold cameras and operated a darkroom in his home. The earliest prints in the collection document the Gainesville area. 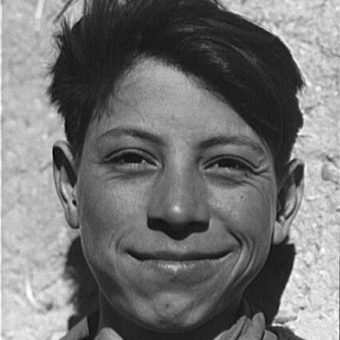 Byrd Moore Williams, Jr. (Byrd Williams II) started his photographic career in college at the University of Texas in 1905. 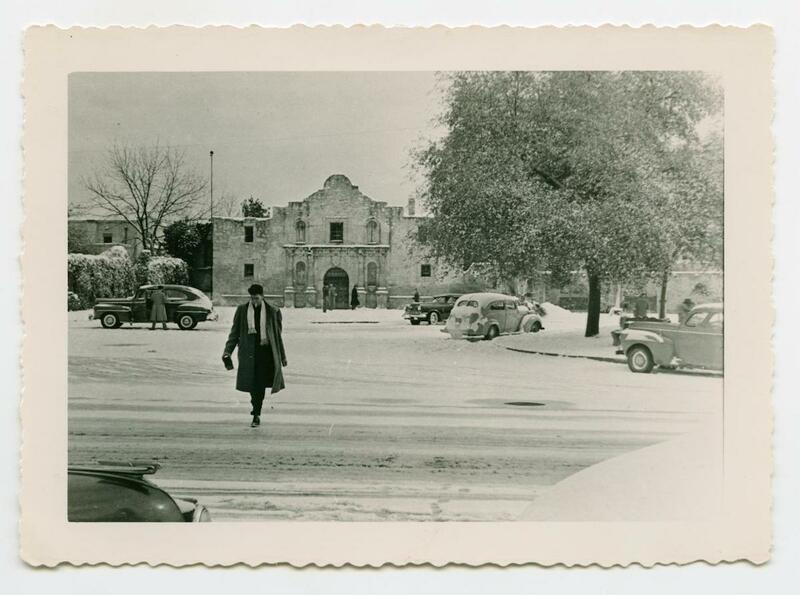 He went on to career in engineering, documenting many major projects, including the construction of the San Antonio River walk with his camera. 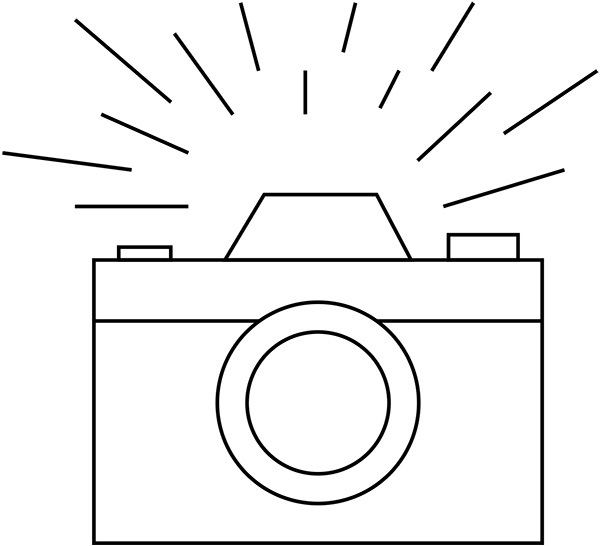 Byrd Williams III opened a photo service in Fort Worth. 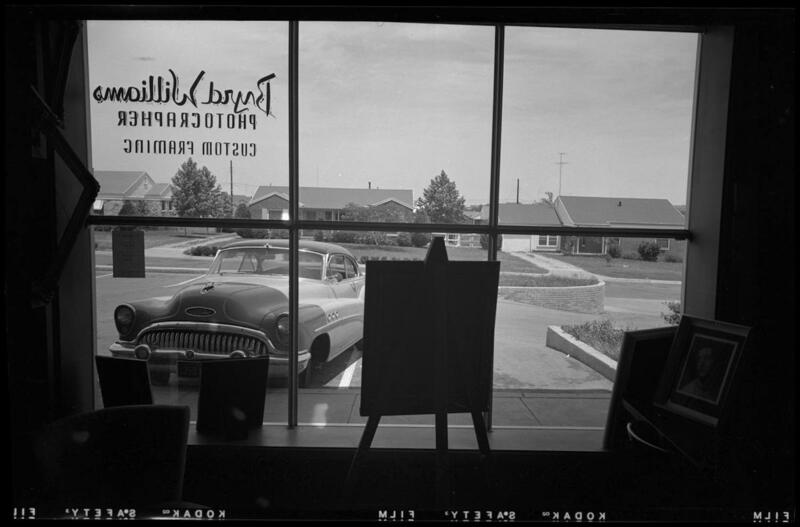 The collection contains a large number of studio prints as well as prints documenting the family’s growing interest in artistic photography. 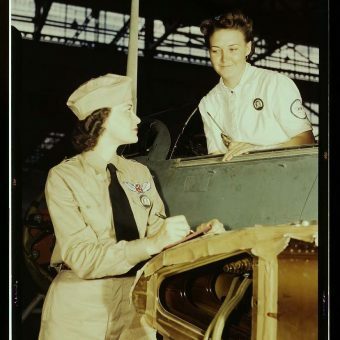 Williams III’s collection includes a significant series of prints documenting women at work in Fort Worth during the 1930s. Byrd Williams IV continued in his father’s footsteps – sometimes literally. 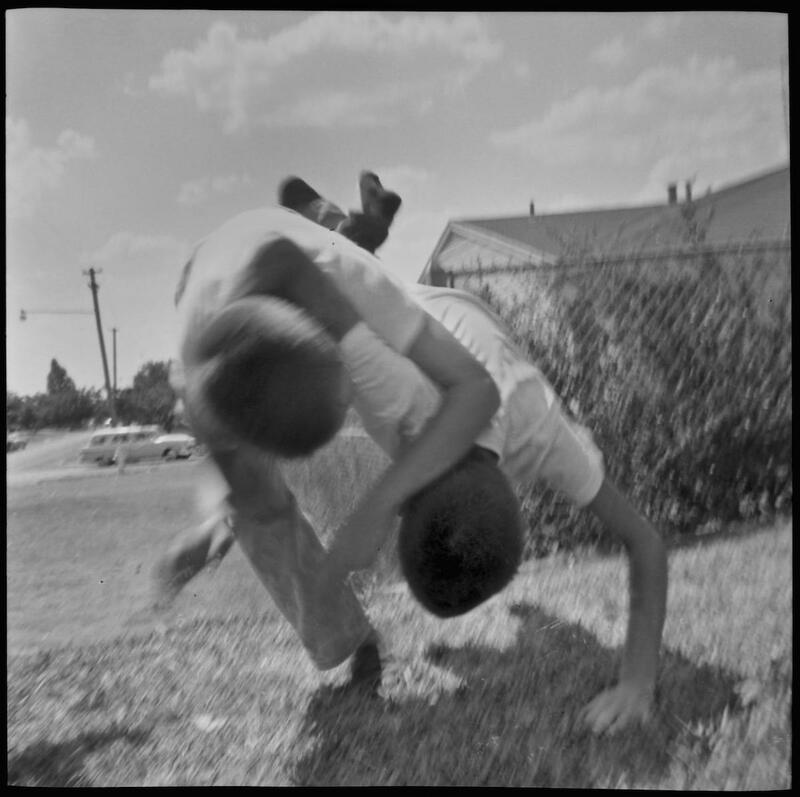 He shot images of the same street corners in Fort Worth 40 years later. 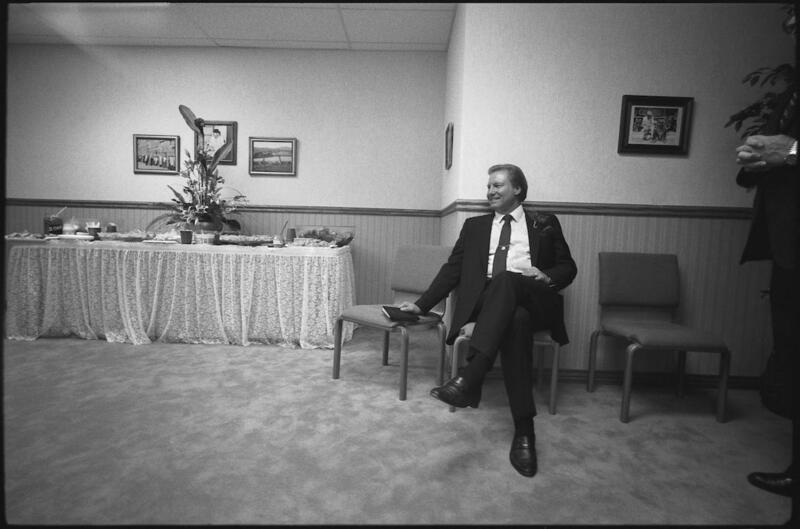 Williams’s career has included street scenes, portraits of gun crime victims, and televangelists, among other subjects. Williams is an artist and a photography professor at Collin College. 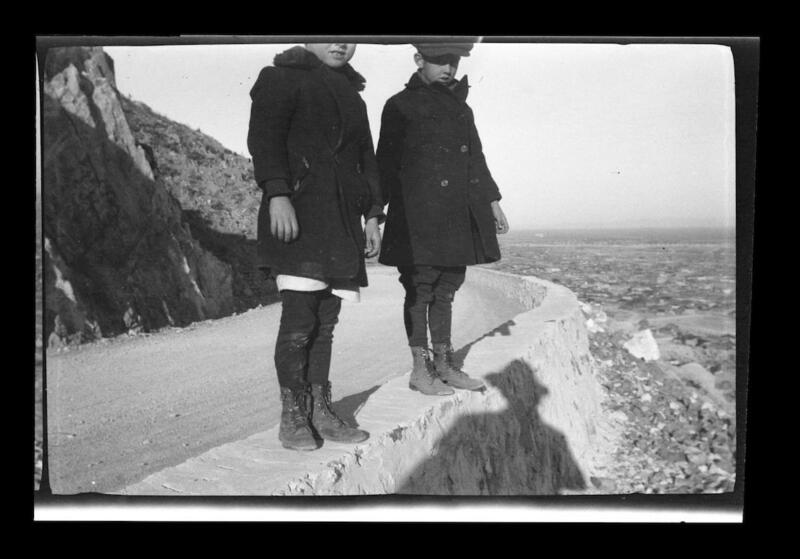 My grandfather got an engineering job on the bridge that goes from Juarez to El Paso in 1915. 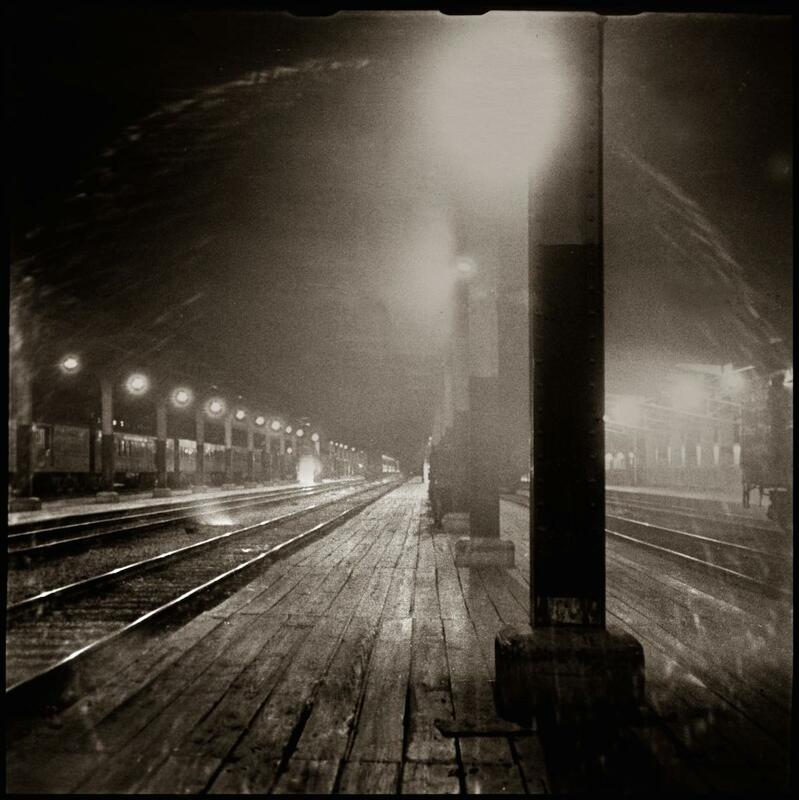 And that was around the time that Pancho Villa’s army was whipping the Mexican army… They had to take a work crew on the Rio Grande every day and he had to go to Pancho’s train car. 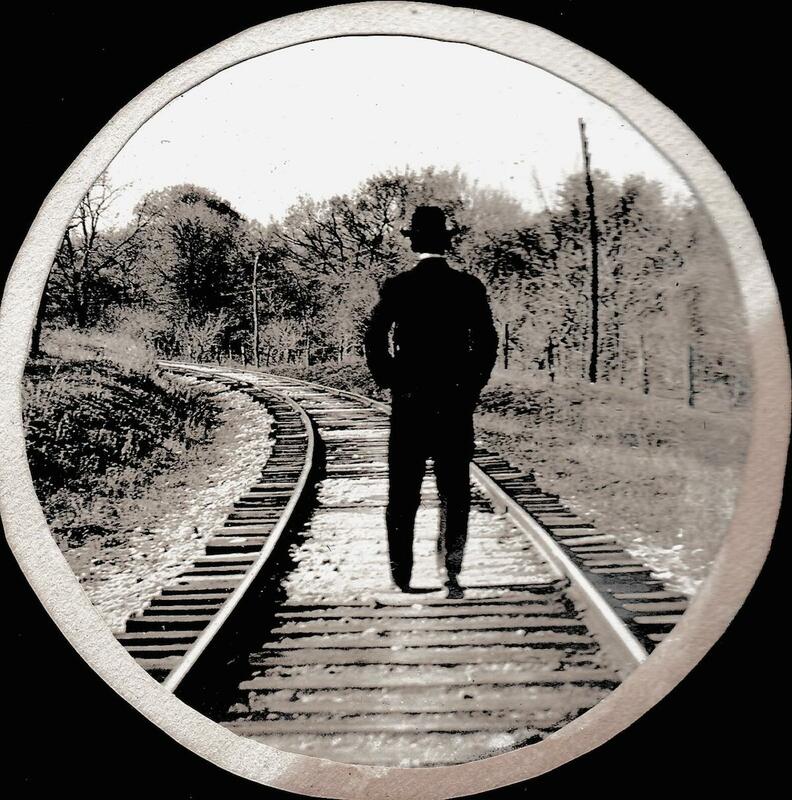 He lived in a train car. And they’d say “We’re just working down here. Please don’t shoot us!” He photographed Pancho’s soldiers there. 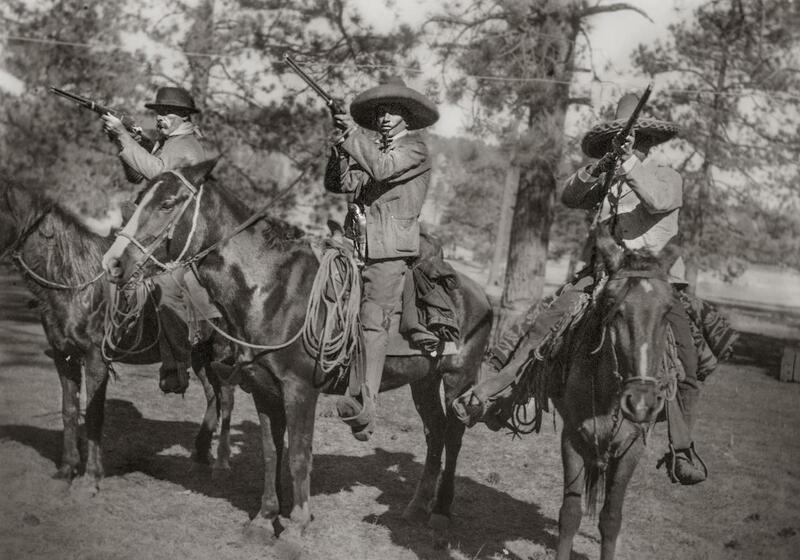 Photograph of three men with guns on horses, possibly Pancho Villa’s men. 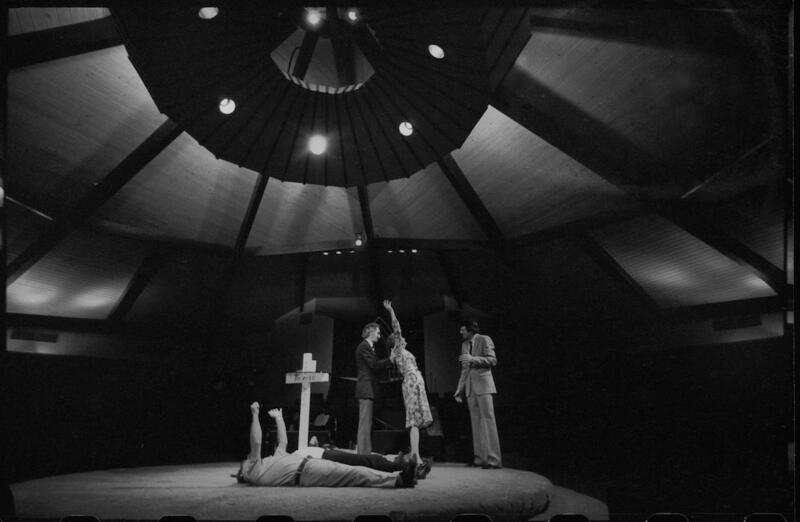 CREATOR: Williams, Byrd M. (Byrd Moore), Jr. It was brought through by the crime lab. 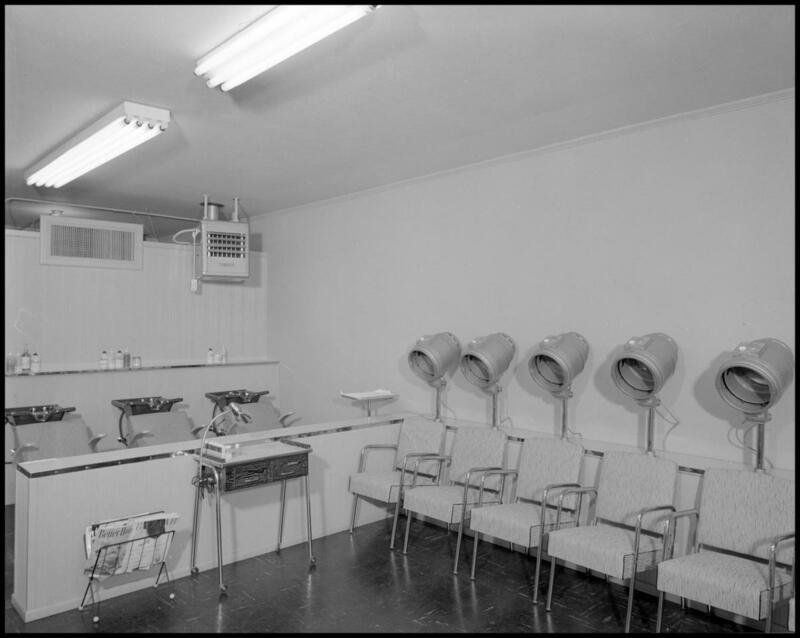 When the assassination happened they took investigation pictures, since we were the closest local lab, they brought the investigation pictures through Byrd Photo. They stayed with the film. They cleared all the employees. Everybody was sent home and dad developed the film with the FBI there. And about a month later they came back and sent the employees home again and they inspected the trash. … It kind of scared my dad. 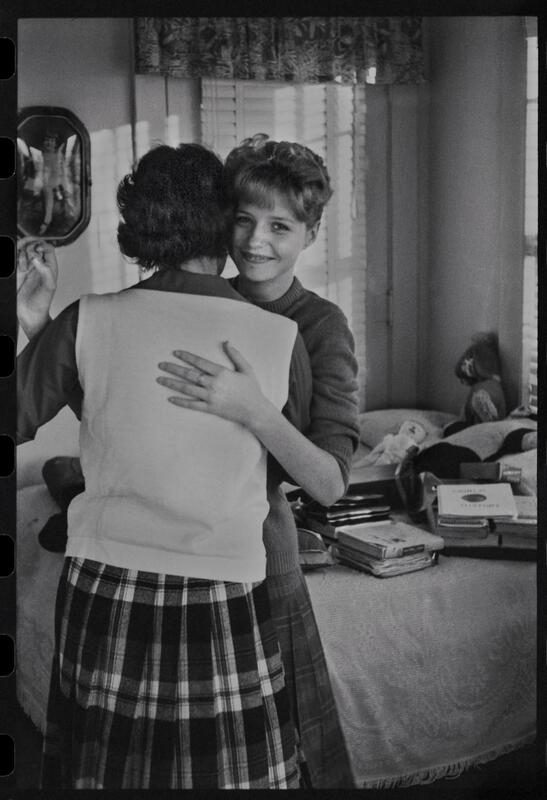 Photograph of Byrd Williams III’s stepdaughter Carol Williams, dancing with a girl named Harriet in a house in Mesquite, Texas. I really like it. Whenever I find a roll of film of my dad’s, they’re all in order. 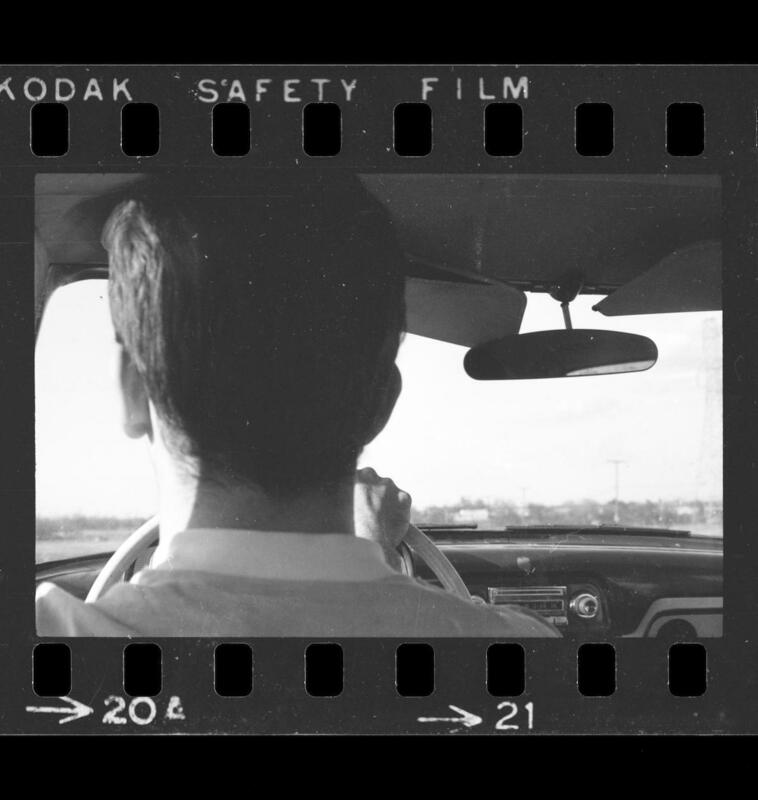 They’re shot in 35 mm and ordered. I can make his walk downtown. It’s kind of interesting. I can see he shot on this corner and then he walked over here and shot this. I find it fun and I think it’s very wonderful standing where an artist worked. No they’re not [photographers]. Neither of them had any interest in it. I was never given a choice. We were … digging this ditch. We were in a photo service. I never got asked whether I wanted to or not. I gave them the choice. They said: “No.” It stops with me. 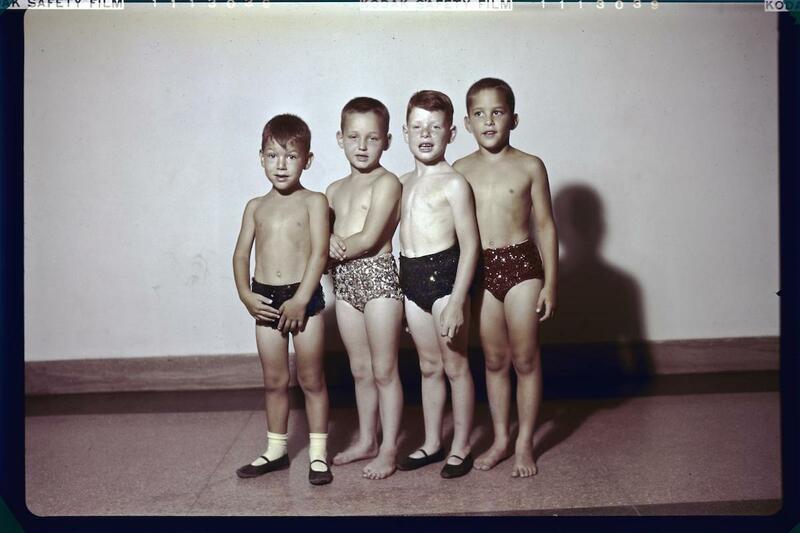 Photograph of four boys from a dance school in sequined underwear posing for a photo. 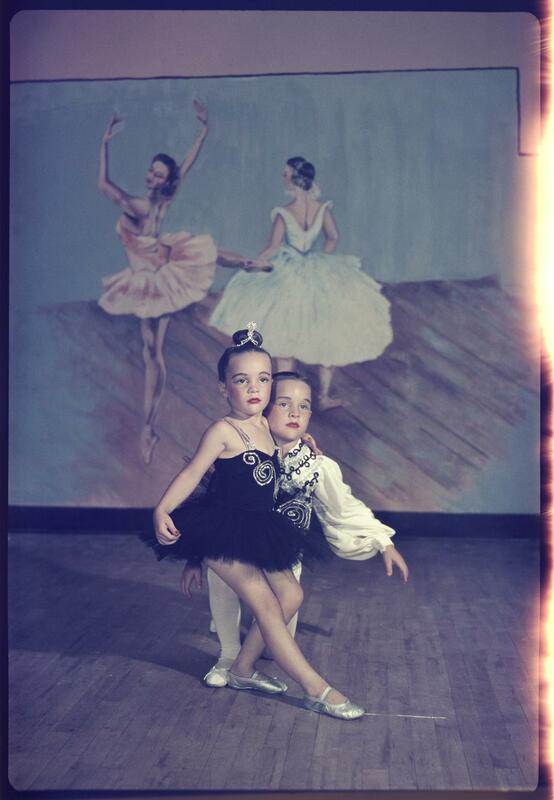 Byrd Williams III’s studio specialty was ballet. This photo was taken during one of the many $1-per-shot school and event sessions. 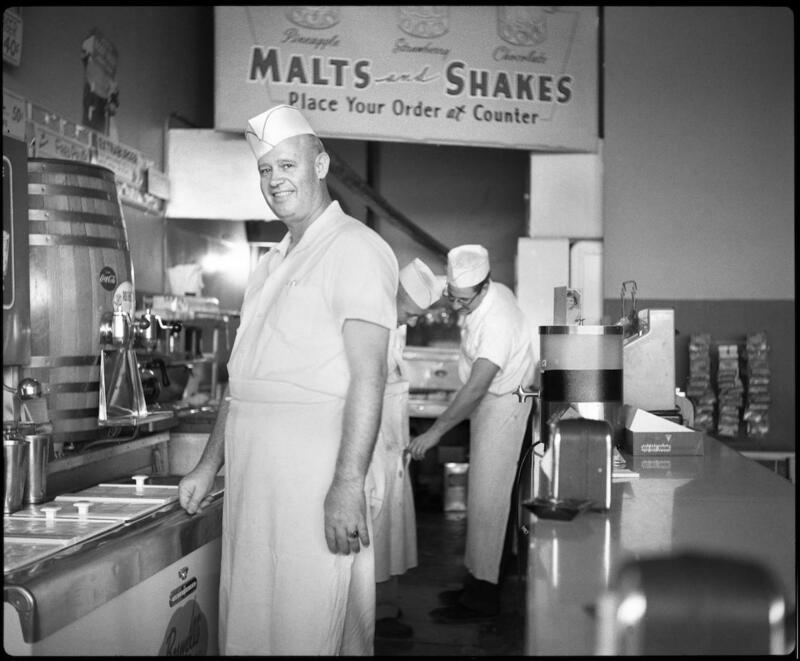 Photograph of Ernie Morgan, owner of a hamburger stand in Fort Worth, cooking with his employees. 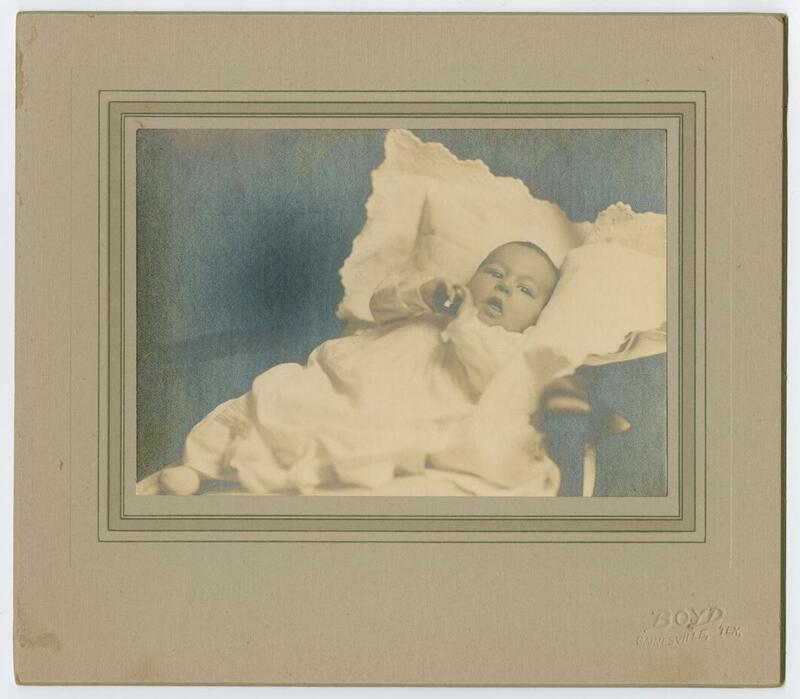 Photograph of Charles Williams as a baby. 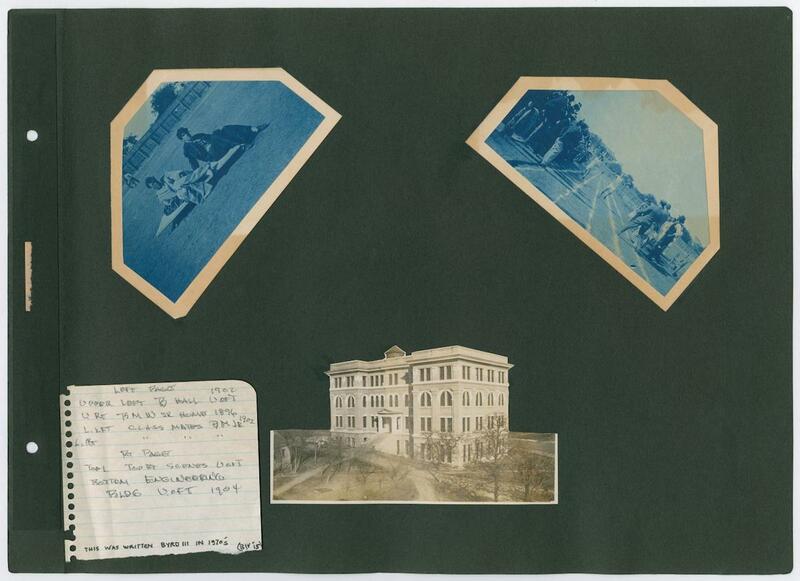 Scrapbook page featuring 3 photos including 2 cyanotypes of a track and field event at UT, and a black and white photo of the Engineering building at UT. 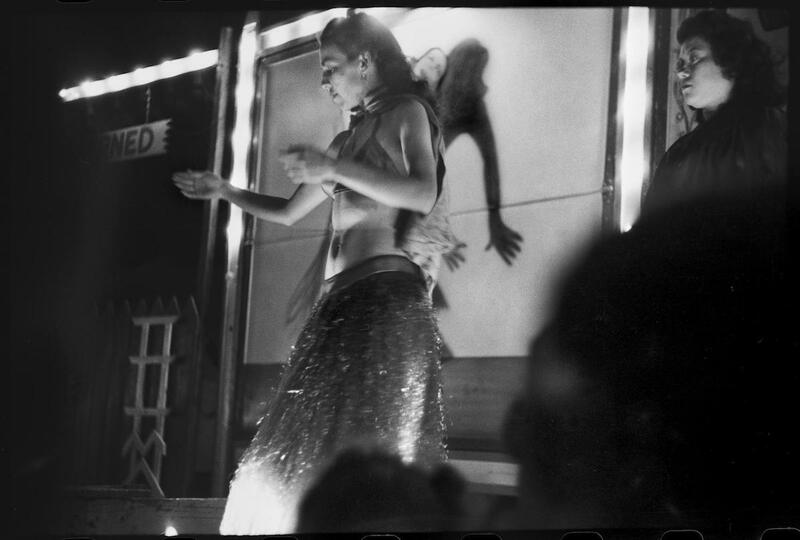 Photograph of a woman dancing in a burlesque show. 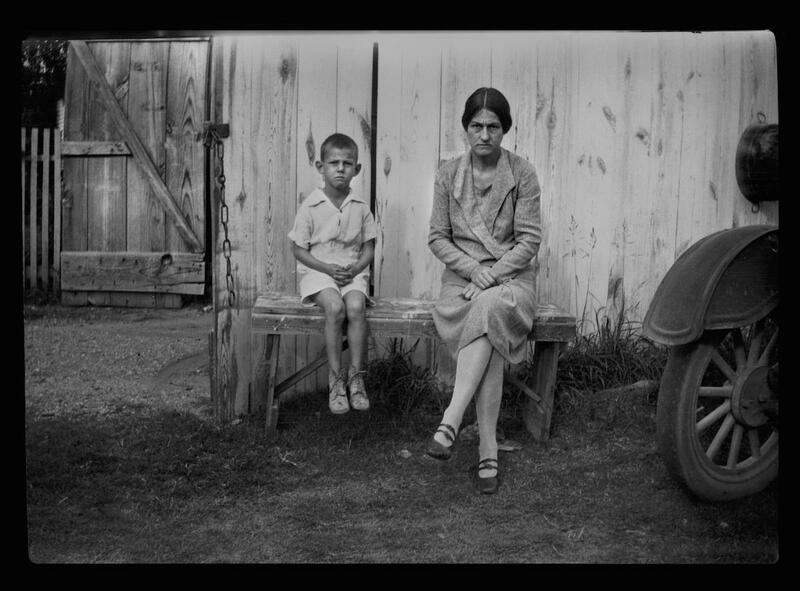 Photograph of Charles Williams sitting with his mother, Irene Biffle Williams on a bench outside. 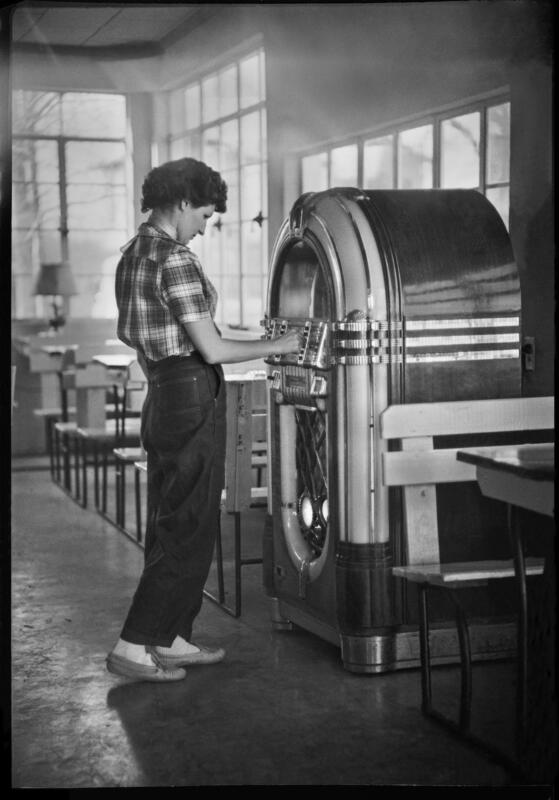 Photograph of Byrd Williams III’s wife, Doris Stiles Williams, standing at a jukebox in Corpus Christi, Texas. 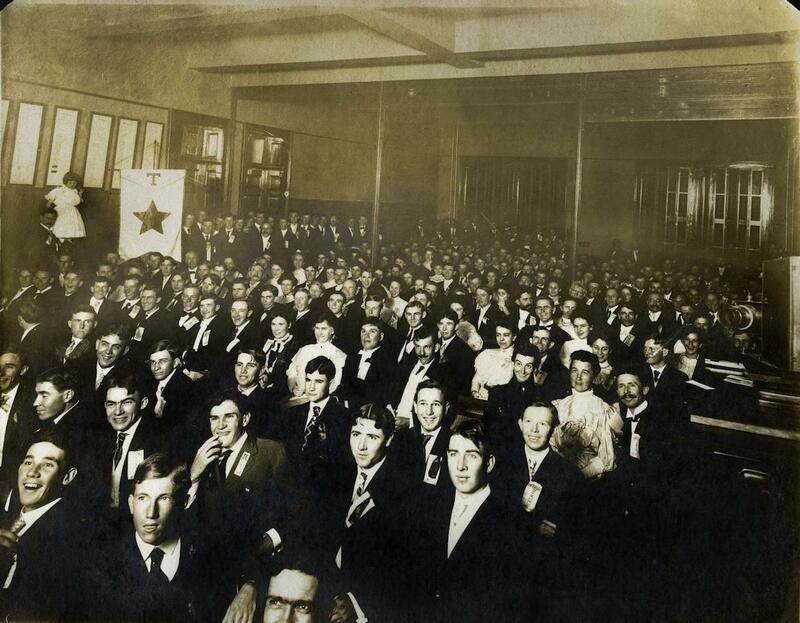 Photograph of a large group of students on their first day at the University of Texas in 1902. Byrd Williams Sr. traveled to Austin from Gainesville to photograph his son, Byrd Jr. who is somewhere in the crowd. 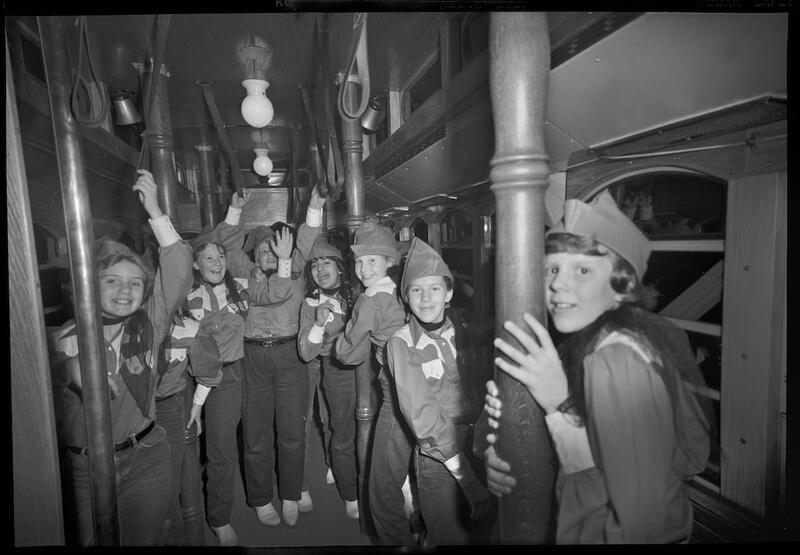 Photograph of a group of girls riding on a trolley. 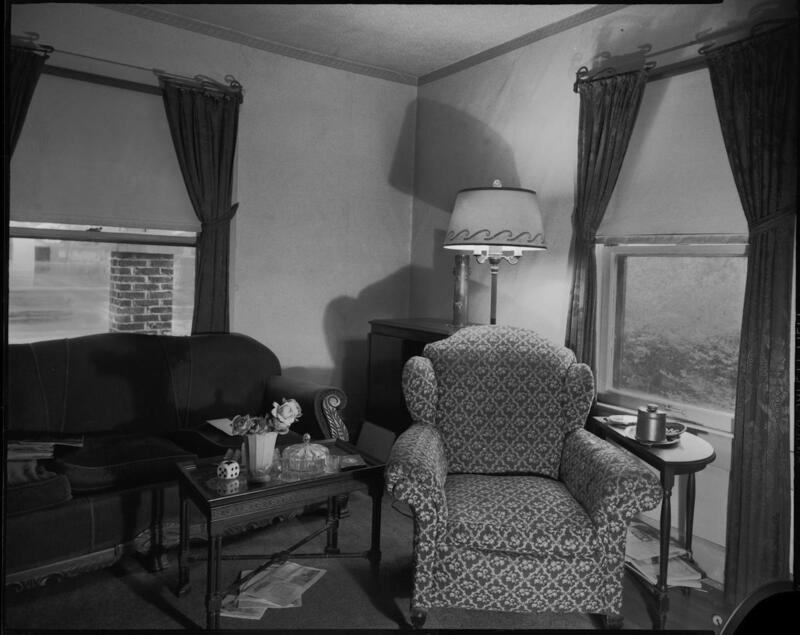 Photograph of an indoor photograph of a living room. 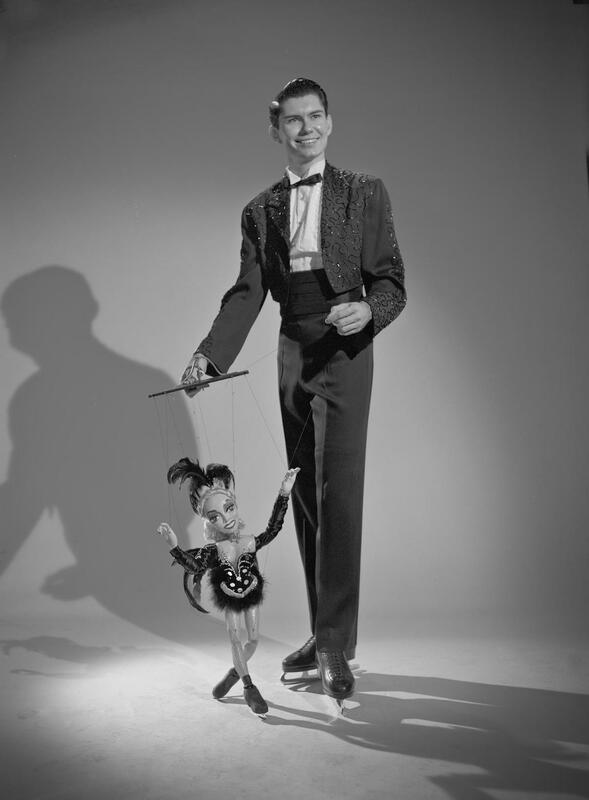 Photograph of a man named Jack Hines posing for a portrait wearing ice skates and holding a marionette. 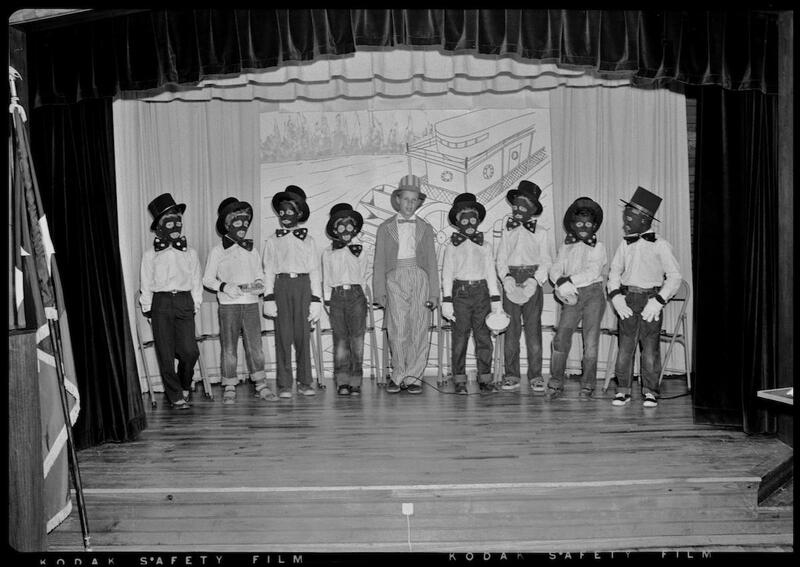 Photograph of a group of children wearing black face masks to perform a blackface play. 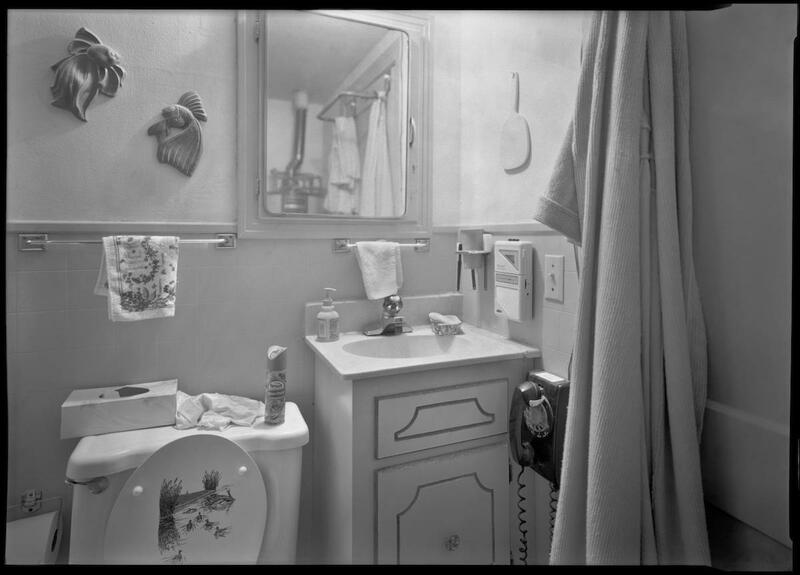 Photograph of a bathroom with a telephone in it. 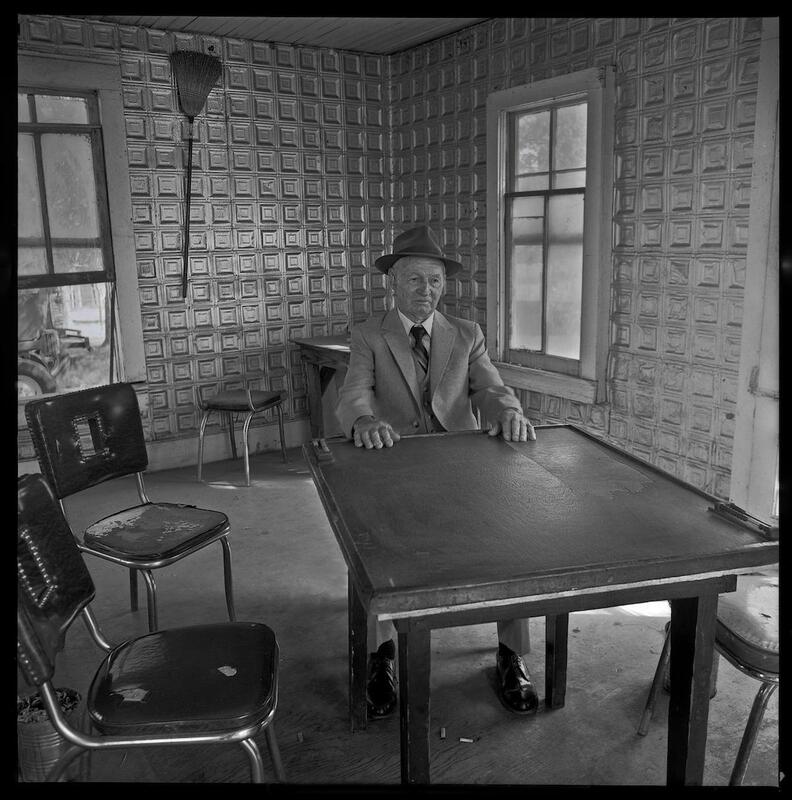 Photograph of a man sitting at a table in a domino parlor. 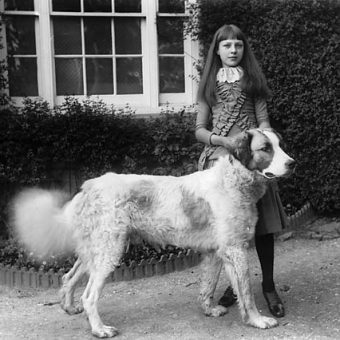 Photograph of a boy named Mike standing in the yard with a life-sized doll. 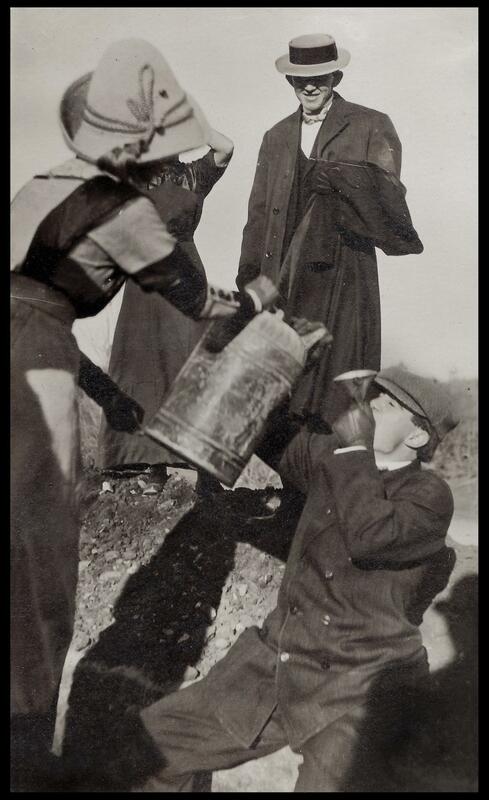 Photograph of several people possibly drinking alcohol during prohibition from what appears to be a gasoline can. 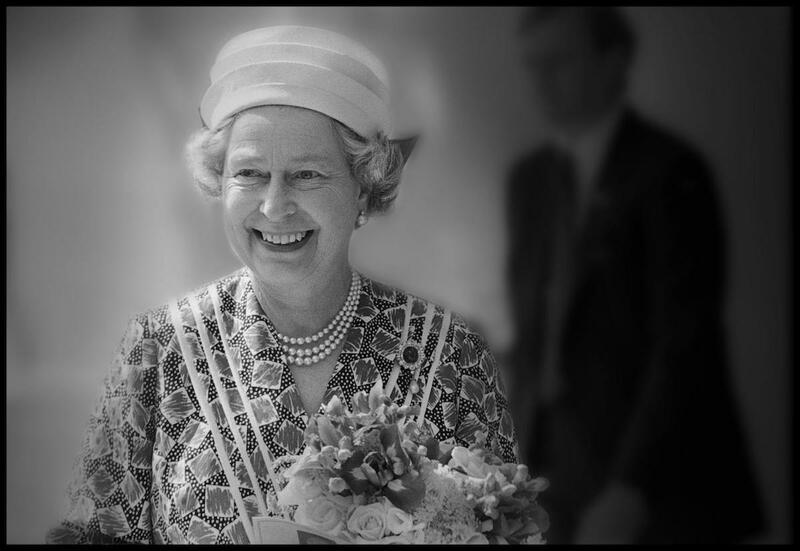 Photograph of Queen Elizabeth visiting the Meyerson Symphony Center in Dallas, Texas. 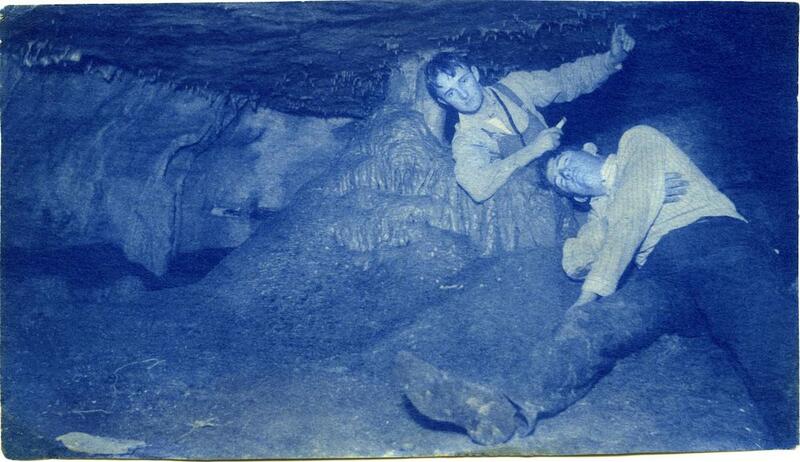 Cyanotype of two of Byrd Williams, Jr.’s friends exploring underground caverns in and around Austin. 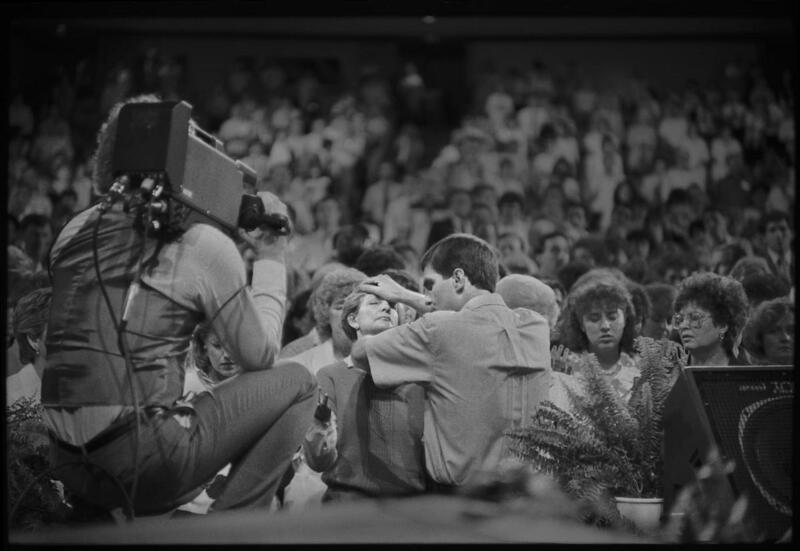 Photograph of a televangelist praying for a woman in a large crowd with a cameraman taping. 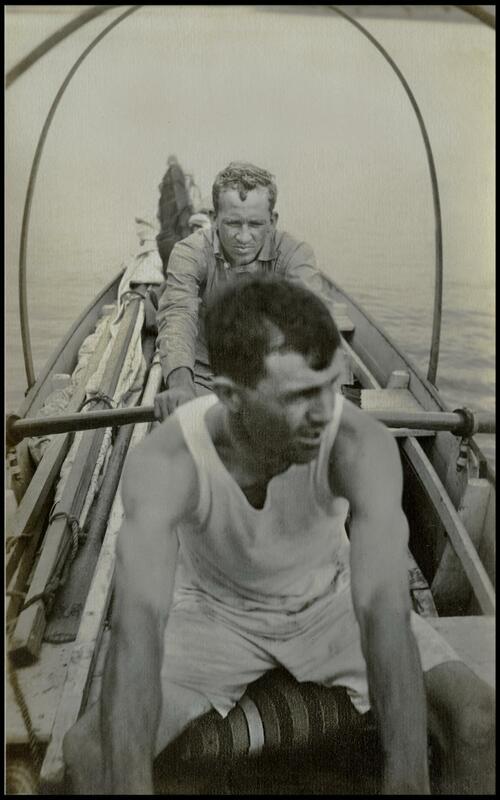 Photograph of two men crossing the Red River on a boat.